Looking for some fun, physical activity and the chance to make new friends? These one day co-ed recreational events are great way to meet new people, exercise, and have fun! If you can dodge a wrench, you can dodge a ball! 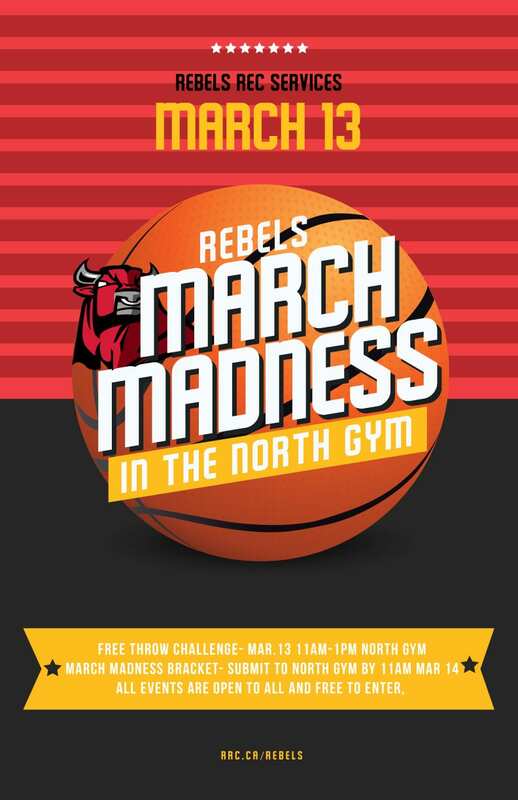 Grab your crew, channel your inner Team Globo Gym and come have some fun in the South Gym. Join Us for Retro Video Game Night! 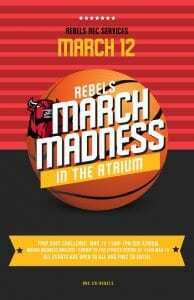 Join Us for the Rebels Shootout Lunch Time Event! Don’t have the time for a weeknight or weekend Intramural? No problem, join us for one of our fun Lunch Special Events. 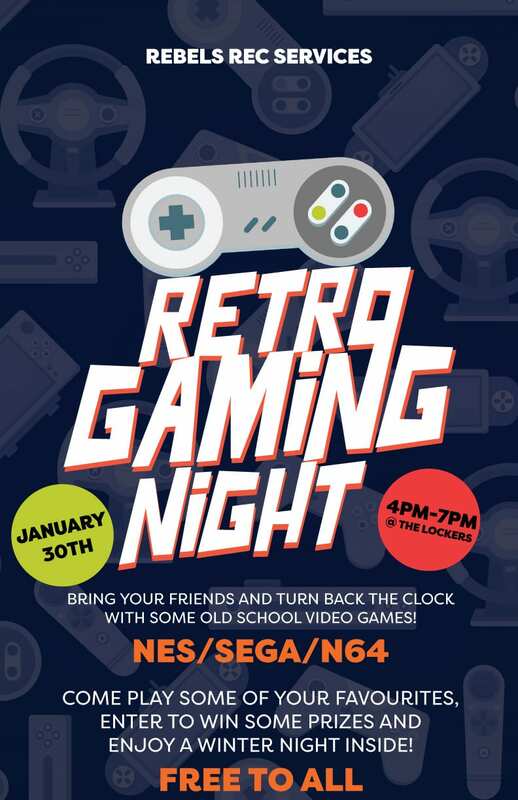 These events occur on Wednesdays, from 11am-1pm in the North Gym throughout the school year. 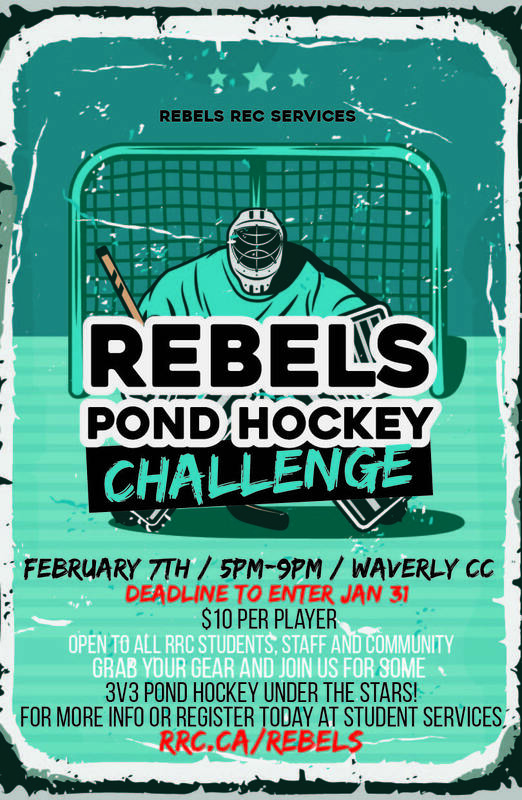 Pop by with your friends to test your skills, have fun and win some great prizes! Open to all. No registration to be filled, no fees to pay, just come to the gym to get active and participate! 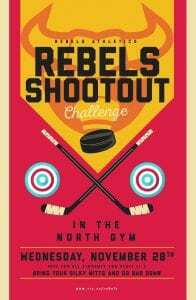 November 28th: Rebels Shoot Out. Gretzky, Lemieux, Crosby, Laine. 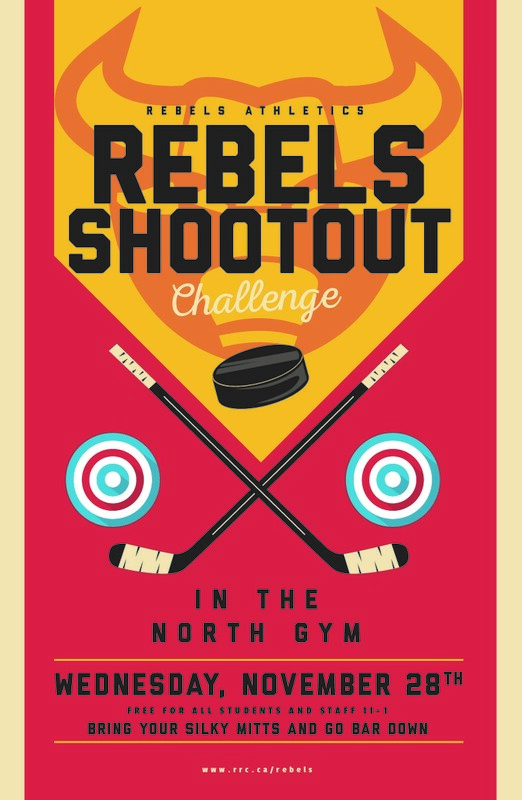 Add your name to the list of greats, and test your shooting skills at the Rebels Shoot out. How many targets can you hit! Find out and play for some prizes! Sign Up for our Annual Co-Ed Futsal Tournament! Our most prestigious and longest running intramural event! 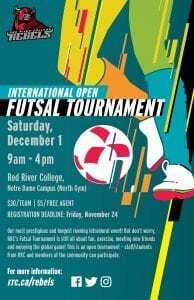 But don’t worry, the futsal tournament is still all about fun, exercise, meeting new friends and enjoying the global game! 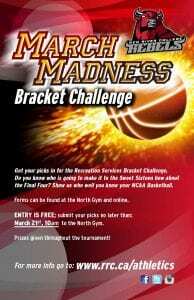 This is CoEd tournament (1 person per gender on the court at all times), and persons from RRC and the community can participate. 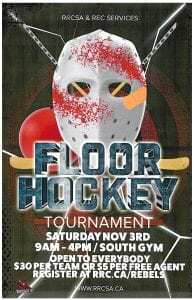 Sign Up for our Annual Floor Hockey Tournament! 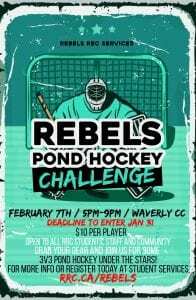 Grab some buds, find your fav hockey sweaters and sign up for day of passes, saves and cellies! 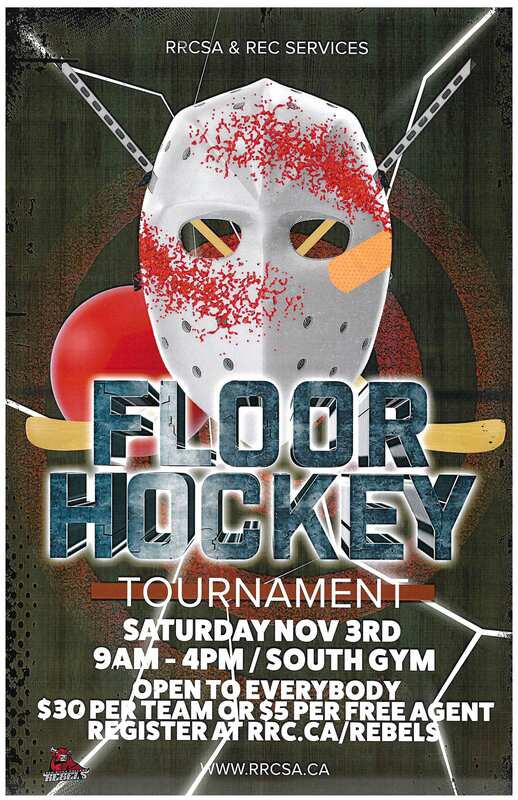 Join us for a full day of floor hockey in the North Gym where you compete for the all important champions tshirt! 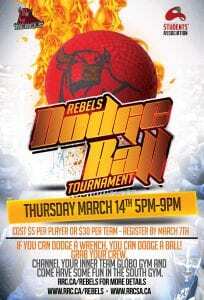 This is Open tournament, and persons from RRC and the community can participate.